As a pastor, I don’t like it when people leave my church. If I am being honest, it hurts my feelings and makes me wonder what I did wrong. It is tempting to get an attitude about it and make snide remarks. But the wonderful truth is that God has many churches that are doing His work and making a difference for the Kingdom. I love that. As much as I don’t like it when people leave my church, I must admit that God does have a plan that is bigger than mine and He sometimes lends His people to me to pastor for a time. Sometimes, it is His will for them to go somewhere else because they have a need that our church can’t fulfill, or He has a work for them to do elsewhere. Of course, I am not taking about people that leave for the wrong reasons or that stop going to church altogether. On the other hand, I love it when people join my church. Rarely do pastors complain about that. We tend to complain when God leads people away from our ministry. Sometimes we complain because of jealousy, but most often it is simply because we forget to keep a “big picture” mentality of the Kingdom of God. Obviously, there are Christian consumers that treat church like a restaurant. As long as they like the menu and the service, they will continue to come. Part of our job as pastors is to help people mature beyond that kind of thinking and become contributors; servants with their sleeves rolled up ready to contribute, serve, and sacrifice to make Christ’s bride pleasing to Him and to fulfill His mission in the earth. What should a person or a family look for when deciding to join a church? Obviously, they should pray and seek God’s will. Programming, teaching styles, family needs, and worship styles are important, but should not be the ultimate determining factors. Here are ten questions to ask when seeking to join a church. 1. Is Jesus Christ exalted? I believe the first assignment of any church is to exalt Jesus Christ. Some churches seem to exalt and honor the pastor, their programming, their tradition, their facilities, or even the work of the Holy Spirit. The work of the Spirit is essential, but Jesus Christ must be exalted above all else. 2. Are people receiving Christ and being baptized? I do not believe God has called every church to be a mega church. God has a unique job for every church and gives unique gifts to leaders. Different sizes and styles of churches are needed to reach all kinds of people. What is not debatable from the Scriptures, however, is that God expects every church to reach people and make disciples. Churches, regardless of size, that seldom or never see people saved and baptized are not fulfilling God’s plan. 3. Is life transformation happening? Are people’s lives being changed? Are they becoming more like Jesus? We are not talking about perfection, but transformation. Jesus Christ came to bring dead things to life! Life-change happens when the gospel is preached, taught, and modeled. 4. Is there a spirit of generosity? If giving and generosity are not talked about and taught boldly how can people learn to live God’s way with their money, possessions, and careers? Christians and churches must be generous if they are to be like Christ. You can give without loving but you can’t love without giving. 5. Is there a clear, compelling vision? Not every church should be alike. I believe God wants many different kinds and styles of churches. He is very creative. There should be a clear and compelling vision of what God wants your church to be. All churches should fulfill the Great Commission, but each church must fulfill the specific mission God has for it. All churches do not need to look exactly alike, but the vision should be clear and compelling. 6. Does the leadership hear from God? According to scripture, pastors should spend a significant amount of time studying scripture and praying. Why is that important? Because pastors must hear from God so that they can lead the church. Hearing from God is vital for Holy Spirit anointed preaching and teaching. 7. Are there high levels of involvement? Are many people volunteering or is there a sense of entitlement? When we become consumers, more concerned about being served than serving, we have lost our way as believers. This is a subtle enemy and it is easy to get into a dangerous comfort zone and fail to live on the offense for Jesus Christ. Are there pathways to involvement and opportunities to serve and use your gifts? 8. Is there a sense of belonging? Belonging involves much more than receiving a friendly handshake and a cup of coffee before you walk into the service. Can you form meaningful relationships that will help you live your Christian life? A sense of community is critical for a church to reach beyond its four walls. Christ compels the church to have open arms. The church is not to be a country club for insiders, but a hospital for the sick and a rescue station for the lost. Sadly, some churches only welcome those that look like them, talk like them, smell like them, like the same music they like, and point out the sins of others while covering their own sin. 9. Is there a spirit of faith? It is impossible to please God apart from faith. Does the church emphasize steps of faith in your life? Are their bold initiatives that challenge the entire body? Churches that are paralyzed by fear and refuse to change and improve structure, location, or programming because they are afraid to lose members are operating under the fear of man rather than the fear of God. You can get that at work. You don’t need it at church. 10. Does this church have open arms to the community? It is critical to minister to the community in a way that emulates the attitude of Jesus. Otherwise, the church is just a relic of the past, in most people’s minds, and has no traction for transformation. We must be the church, not just go to the church building for events and rituals. 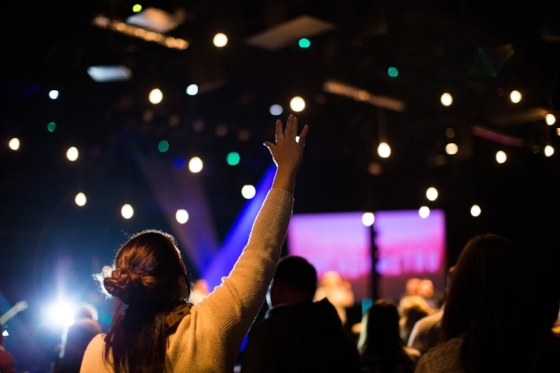 These ten questions will help you determine whether or not you should join a church. I hope you will totally immerse yourself in the church will become a contributor, not just a consumer. Always remember that there is no perfect church. But Jesus is perfect, and He has a perfect place for you to grow, become more like Him, and bring glory and honor to His name and mission.